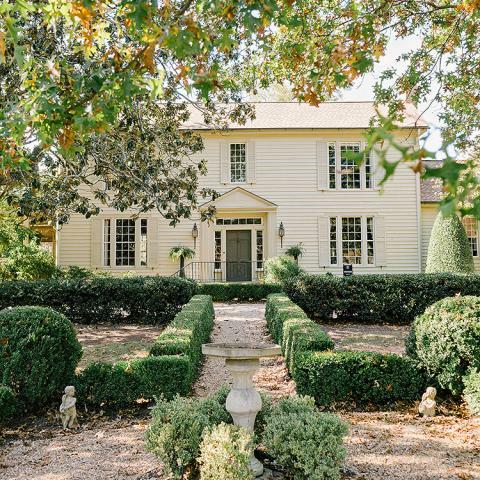 Built in 1852, this Georgia plantation house and historic horse barn have been fully renovated to include all of the contemporary amenities you need, without sacrificing any of the Southern tradition and charm that you desire. 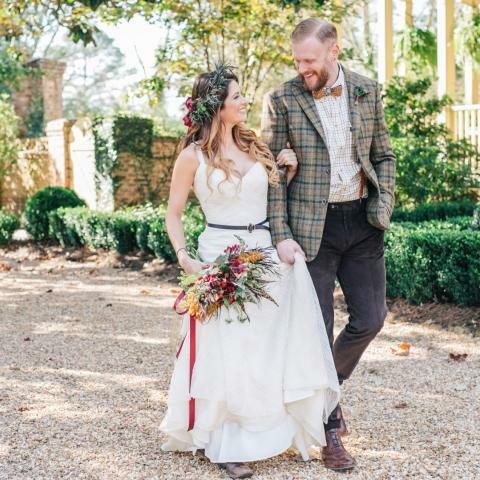 It's perfect for a fall wedding. 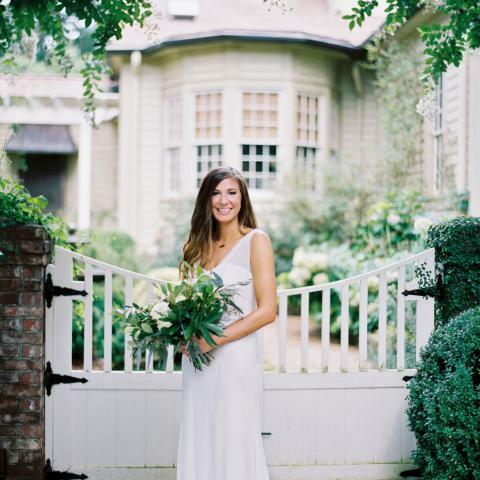 Vinewood Stables' crowning gem is the original historic farmhouse, making this venue the perfect southern farm wedding venue. The Main House still has all of its original historic charm, while offering the contemporary amenities you will need. 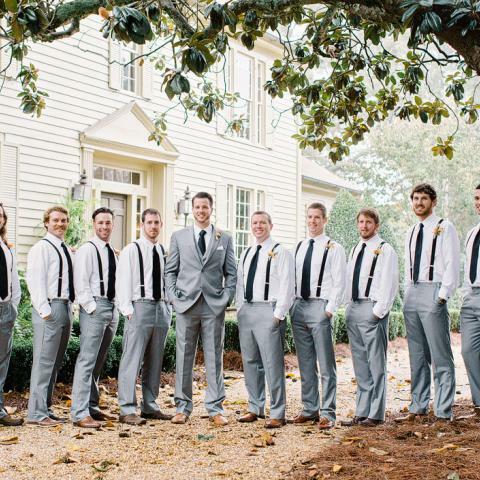 The Main House is available the day of your wedding for anything from a bridal luncheon, to bridal party preparations and wedding party photography. From the interiors of The Main House, to the gardens and grounds, the attention to detail is sure to impress you and your guests on your special day. The Wedding Tree at Vinewood is by far the most popular outdoor ceremony site for our couples. 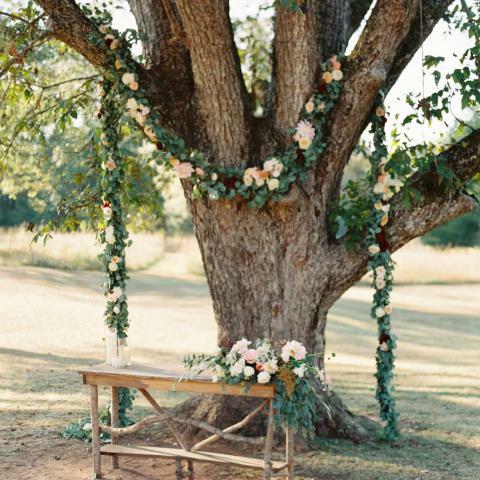 Imagine exchanging your vows beneath the leafy canopy of an ancient pecan tree, with a picturesque backdrop of the hillside and rolling pastures beyond. The Wedding Tree of Vinewood is ideally situated to provide ample shade for your guests, all the while allowing the sun to cast dappled light through her branches as it sets beyond the horizon. Additionally, Vinewood Stables offers her rustic horse barn and pastures for your dream wedding ceremony, reception, or special occasion. 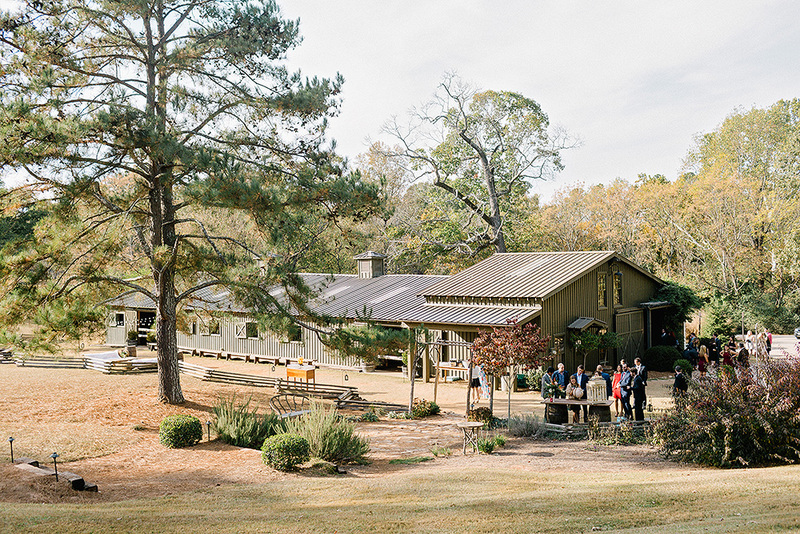 The Stables, which date back to the 1830’s when it served as an Atlanta area working barn for Vinewood’s original cotton plantation, provide the perfect charm for a fall wedding. It has recently been renovated to provide the amenities necessary for your wedding or event, all the while maintaining the rustic charm of the historic barn. From the reclaimed brick flooring to the twelve light chandelier overhead, The Stables’ foyer maintains the rustic elegance of the southern farm wedding venue. The historic horse barn’s interior is clad in antique oak and heart pine. The interior once housed sixteen horse stalls, but has now been opened up to accommodate any style event you can imagine. 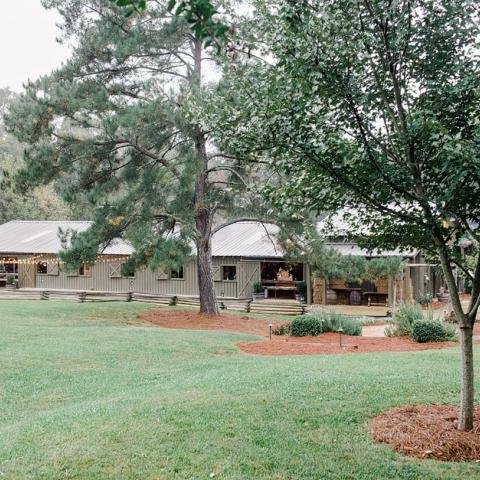 In addition to the 5,000 square-foot main hall, The Stables includes a built-in bar area, handicap accessible restrooms, and a large catering service area. 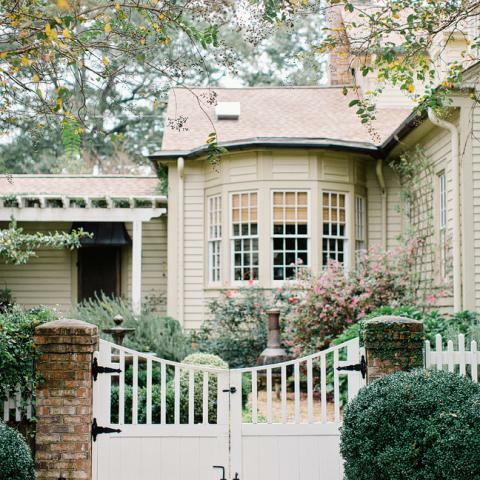 Surrounding The Stables are acres of pastures with rolling hills, peppered with ancient oaks. 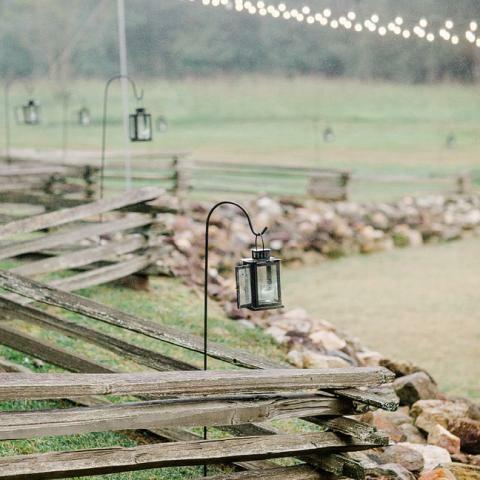 The fire pit, nestled in the field just behind The Stables, has become a favorite location for guests to retire to during the reception as dusk approaches. Since opening, Vinewood Stables has become a much sought after venue. 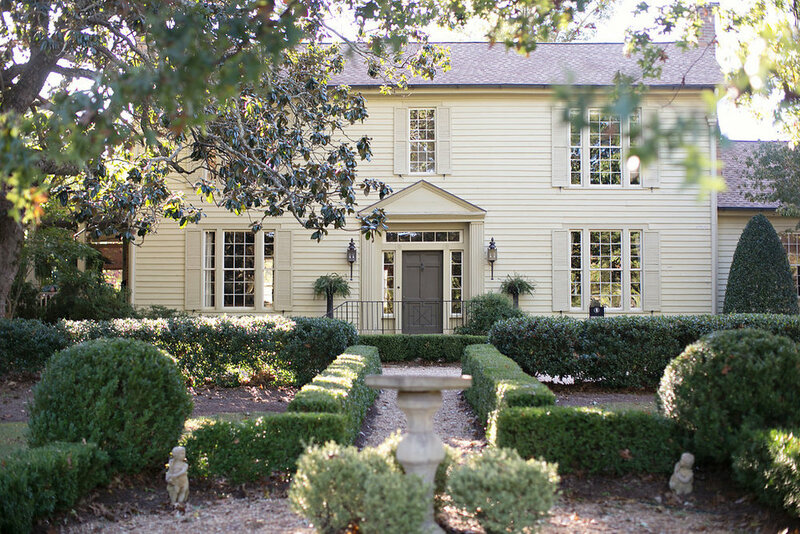 The beautiful Atlanta venue has been featured in a number of upscale magazines such as Southern Living, Modern Luxury Atlantan Brides, Occasions and Atlanta Homes & Lifestyles and also featured on several well-known wedding blogs: Style Me Pretty, Green Wedding Shoes, Southern Weddings,100 Layer Cake, Ruffled, Rustic Wedding Chic and The Wedding Chicks. Vinewood Stables is located just 30 miles Southwest of the Atlanta International Hartsfield-Jackson Airport in Newnan, Georgia. It is convenient to hotels, bed and breakfasts, and restaurants in Historic Newnan, Peachtree City, Historic Senoia and Chattahoochee Hill Country. Don't just take our word, hear what our clients have to say. The minute we turned into the driveway we knew that Vinewood was where we wanted to get married. 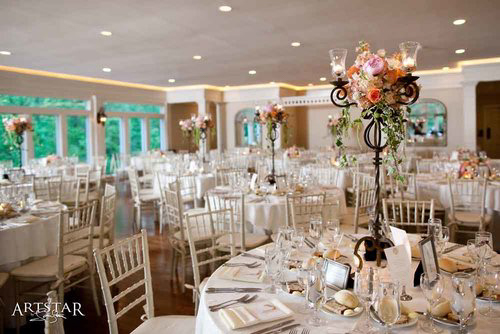 The venue is beautiful even without any additional embellishments, and it has a wonderful, well loved, historic feel. Locally inspired and internationally influenced, A Divine Event is passionate about food from preparation to presentation. 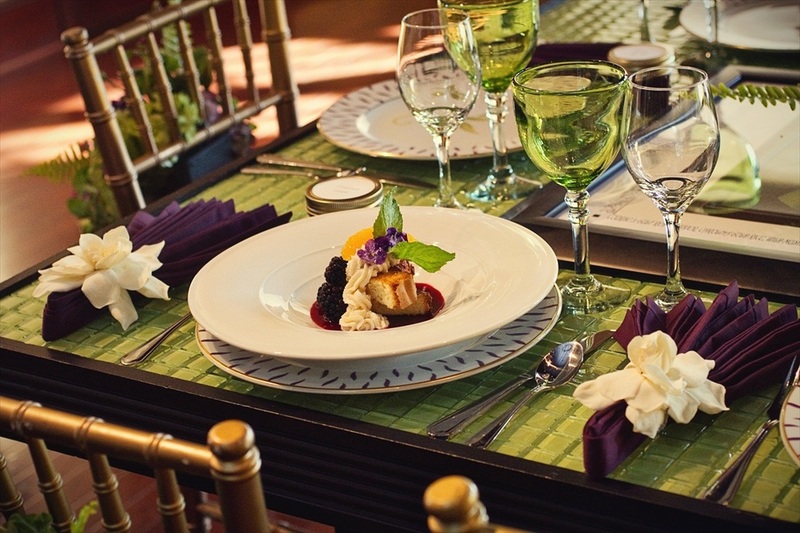 Menus at A Divine Event are crafted with a heavy reliance on fresh, seasonal food (much of it local), with dishes capable of shining in a catering environment. It’s all about the food. We’re wickedly delicious. By choosing a Magic Moments venue, you have shown your taste for elegance, as our ceremony and reception spaces are remarkable by themselves. Our Design Studio is here to add those special touches that make the space exactly what you’re envisioning.